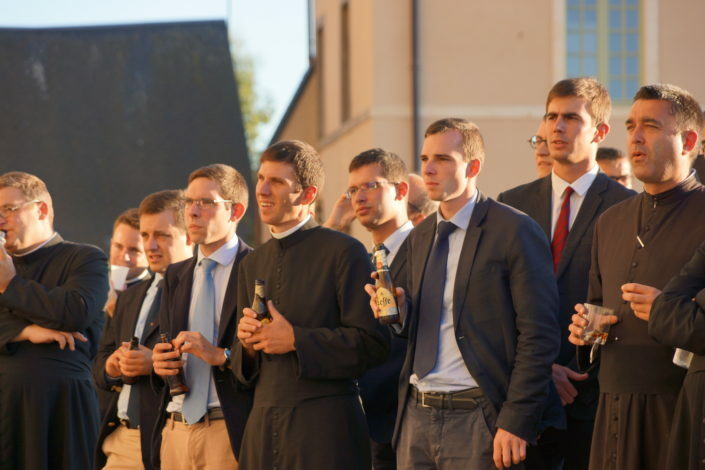 Monday September 10 of 2018, it’s the beginning of term for the seminarians! On this day back, the priests and seminarians meet again in Évron, with the exception of the seminarians in their pastoral year already scattered in the parishes. 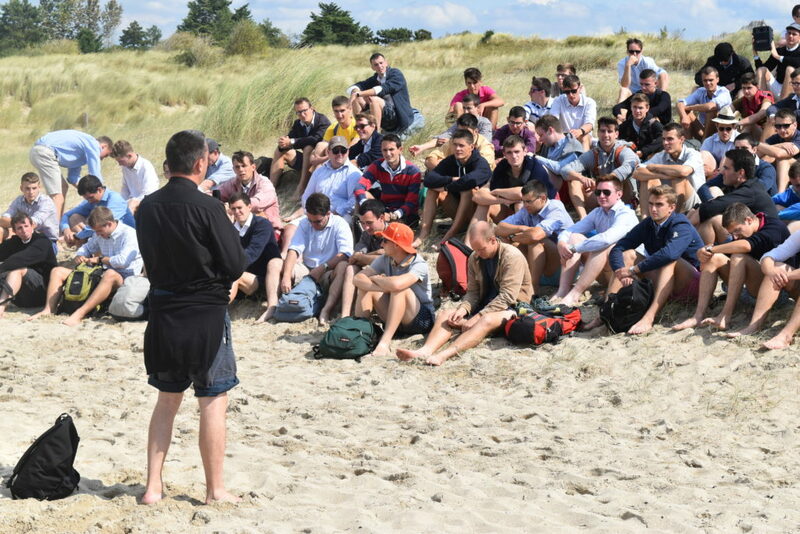 In the joy of fraternal reunion, everyone shares his pastoral experiences of the summer and thanks for the missions he has received. 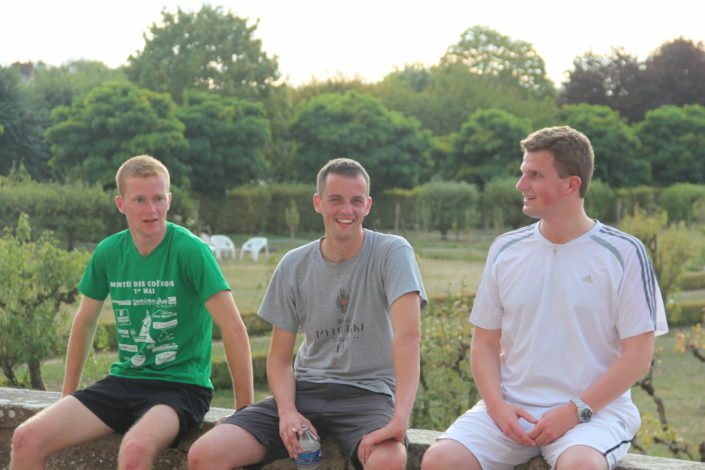 The priests have already spent two weeks during the summer preparing for the new year at the seminary. Their team expands thanks to the arrival at the formation house of Don Enguerrand de Lorgeril, until then vicar in the parishes of Nogent-le-roi and Maintenon. 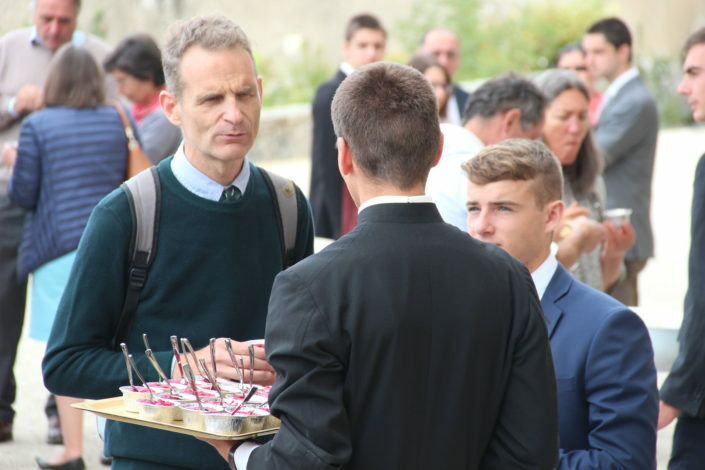 Ordained priest in 2014, Don Enguerrand will also continue this year his doctorate work in theology by spending a few days of the week in Paris. 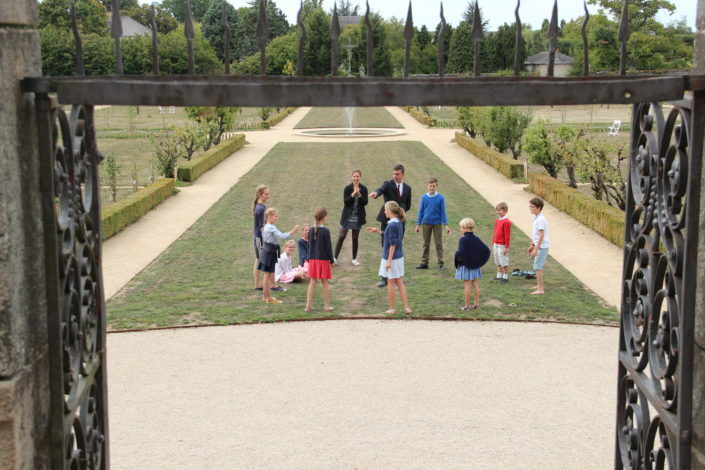 In the afternoon the rooms are distributed. Indeed each seminarian has his own room, but it changes each year. All cross each other carrying their boxes, it’s a happy move. 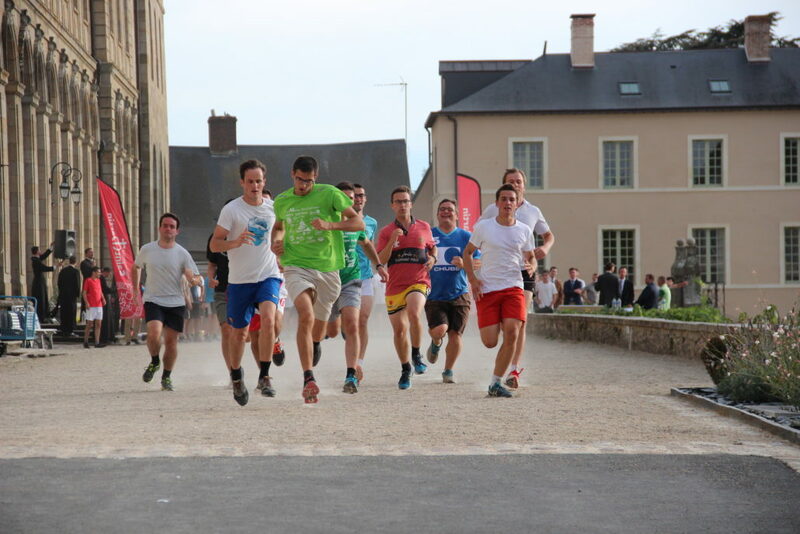 Because the number of rooms in the abbey is less important than the number of seminarians, this year 23 seminarians of the 2nd year of theology are accommodated outside the seminary in the city of Évron. 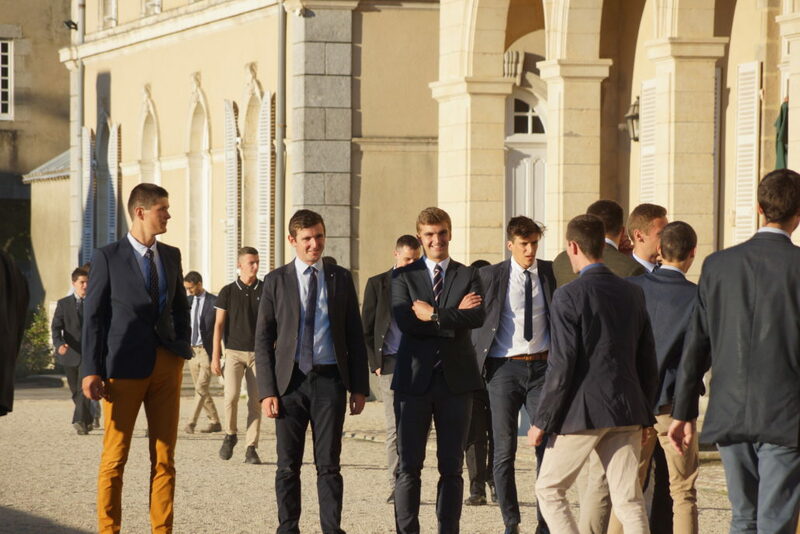 Tuesday, September 11, is the arrival of young people who have chosen to integrate our year of propaedeutic. They are welcomed by priests and seminarians. 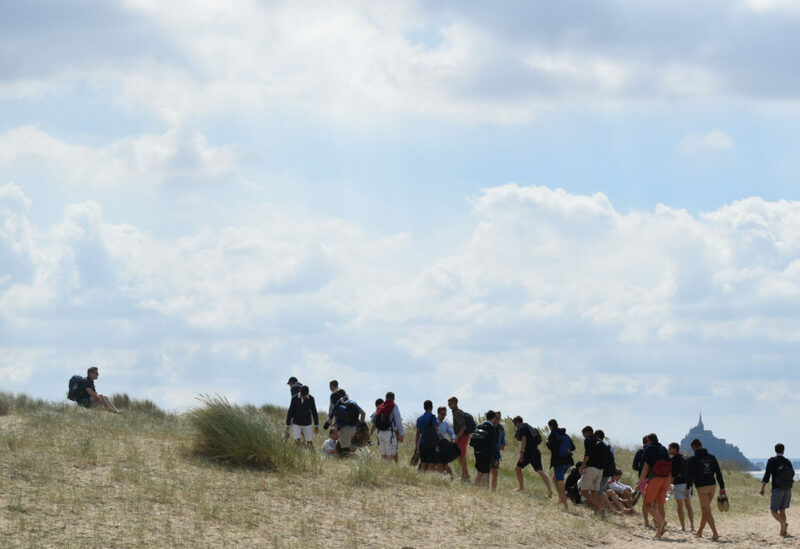 These 25 young people who have just joined us settle in their rooms, carefully arranged for them by their elders. 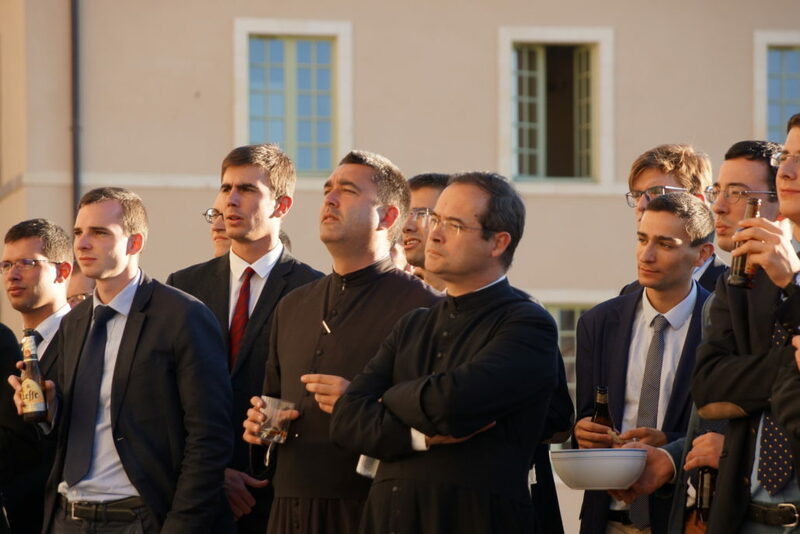 The evening aperitif gives them the opportunity to introduce themselves briefly and then to meet each of the priests and seminarians who also present themselves. It takes a little time to remember all the names! 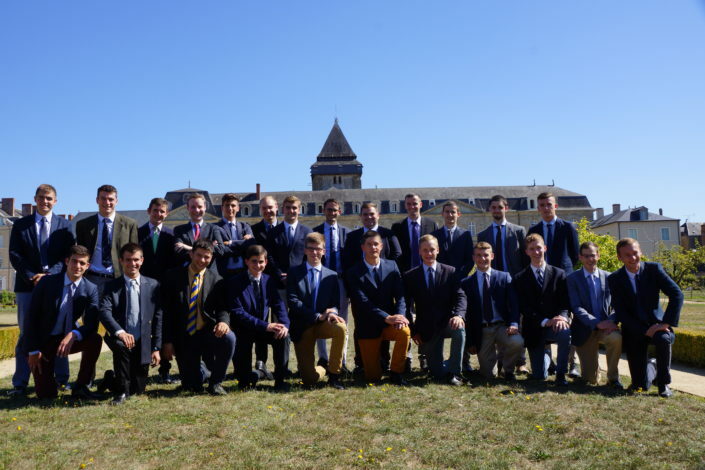 With the arrival of the propaedeutics, the formation house is complete for this year. 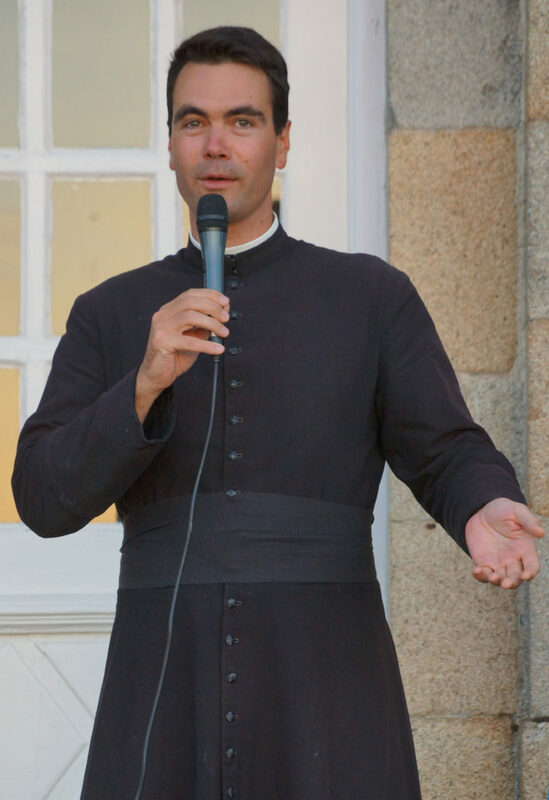 In his homily of the evening Mass, don Louis-Hervé in charge of formation, invited us to welcome in thanksgiving this large community of priests, seminarians and propaedeutics that the Lord wants to build. Finally, he invited us to receive from God each one of those brothers whom we did not choose, but with whom we will live throughout this year. 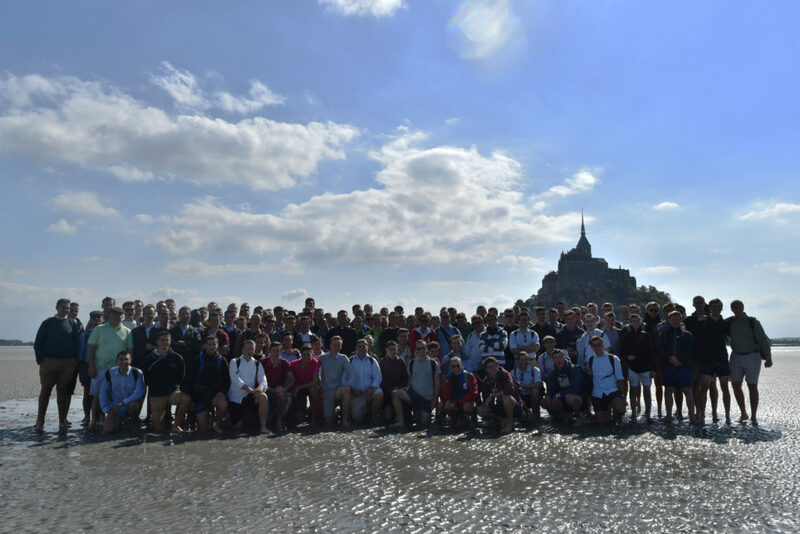 The new seminary year was launched on the 13th September with our annual pilgrimage to Our Lady of Pontmain and the Mont Saint-Michel. 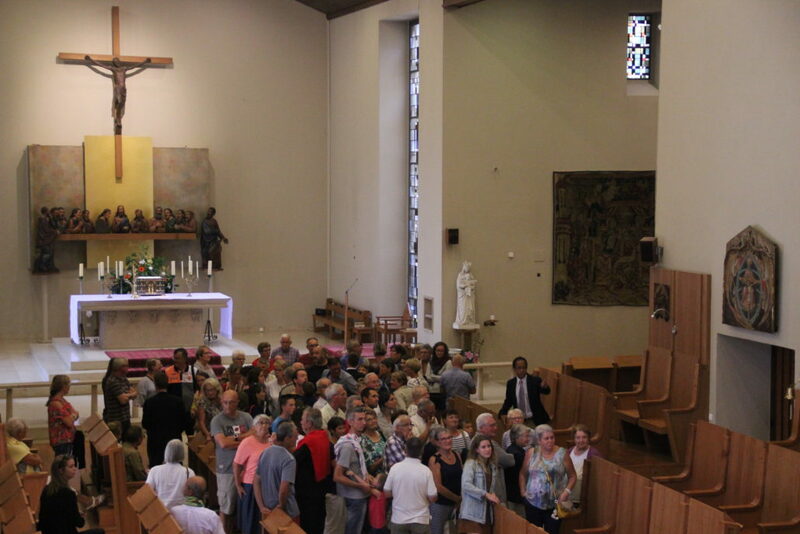 We celebrated mass in the small parish church on the feast of St John Chrysostome and entrusted our year into the hands of Our Lady. 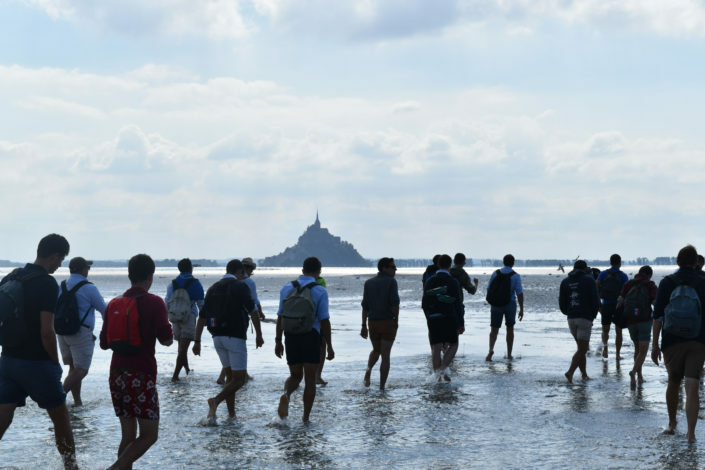 After a picnic, we crossed the bay by foot to reach the Mont Saint-Michel. 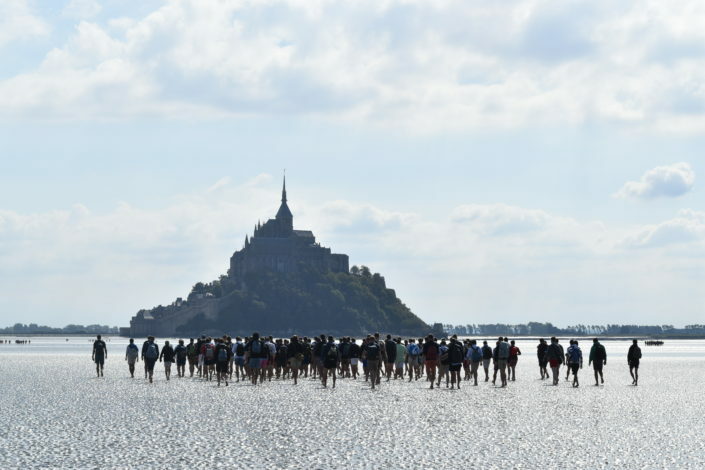 The crossing was marked by small talks from our formators on the spiritual combat. As the Book of Revelation tells us, it is the archangel Michael that defeated the dragon and so we begged his assistance – just like the millions of pilgrims since the seventh century – “to safeguard us against the wickedness and snares of the devil” (prayer from the Pope Leo XIII). Saturday and Sunday was the weekend all over France dedicated to its cultural heritage, as such we opened our XVIIIth century abbey to all welcome visitors desirous to visit for the first time, or to see the changes the arrival of the Community brought about. For us seminarians it was the occasion to share our daily lives with many curious visitors. On the Sunday, we also welcomed the families of the new propaedeutics. 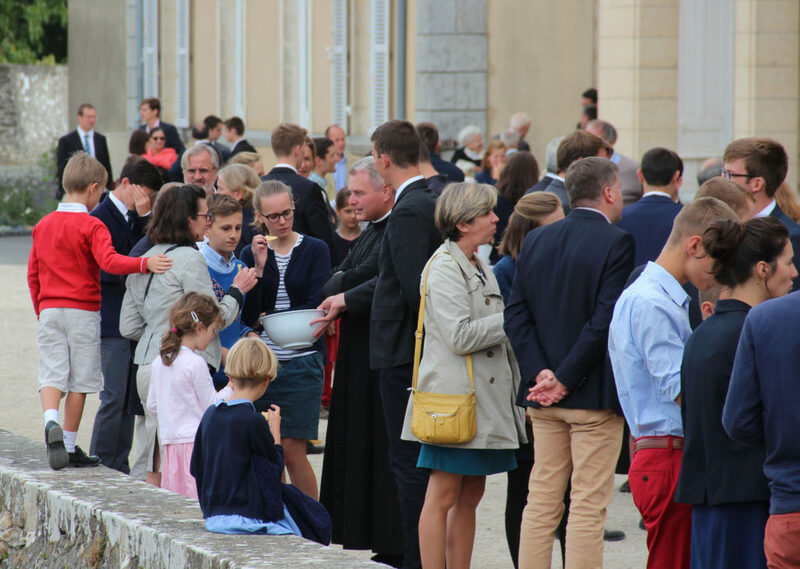 Helped by parents of priests, it is a day that allows the new parents to see where, how and with whom their sons will live for at least one year ! 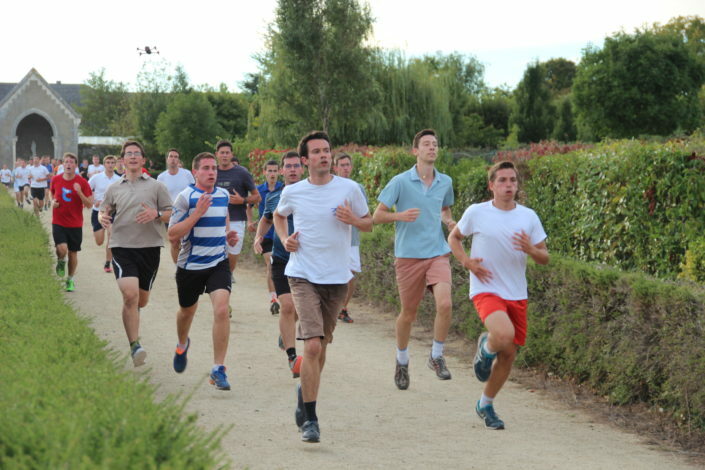 In the evening, the seminarians disputed the annual “Race of the Charmille” around the grounds of the abbey. 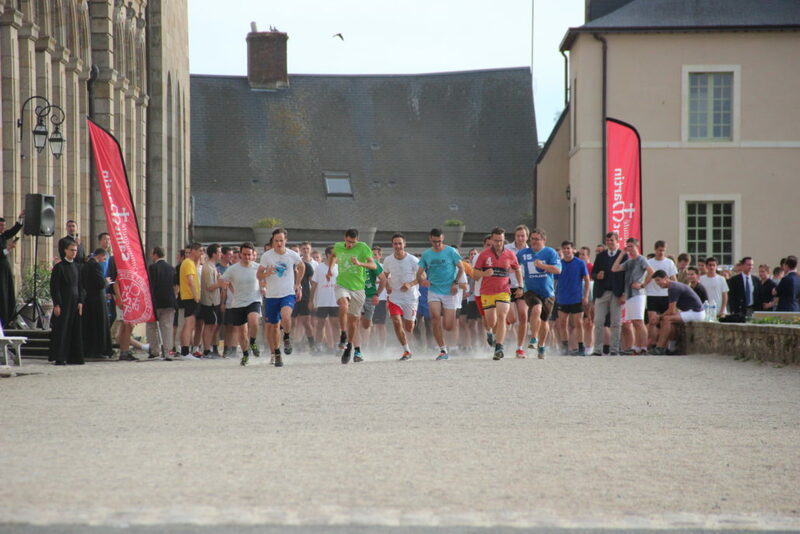 There is an individual race and a race by year group, won this year by one of the three groups in the second year of theology. Le père Philippe Caratgé, qui nous prêche la retraite. 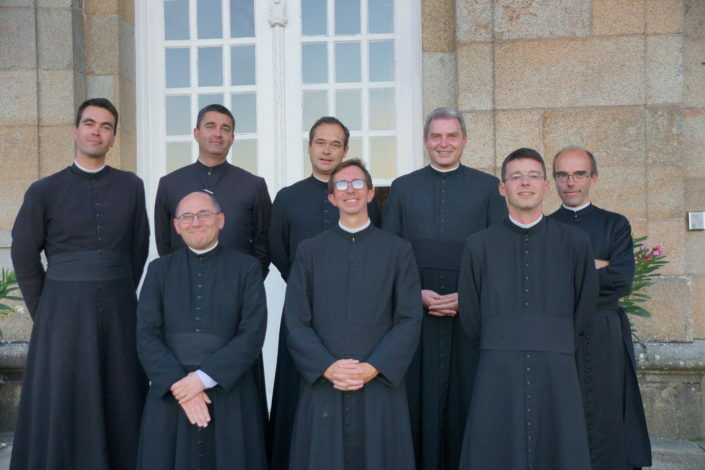 He invited us to give thanks for the gift of our vocation, as such a choice comes from God only and surpasses us completely. He encouraged us to let ourselves be seized by Christ because the cornerstone of an apostolic vocation is our friendship with Christ, for a missionary fecundity. 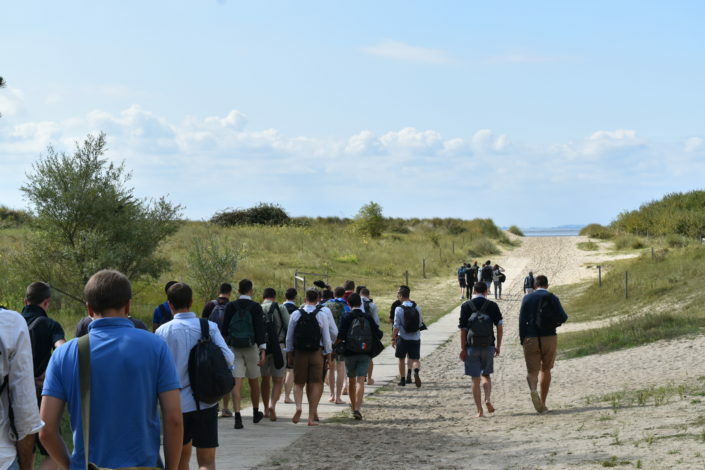 He pursued his teaching by reminding us that in Presbyterorum Ordinis, Vatican II invites priests to flee all forms of activism by seeking only what pleases God which can only be done through prayer and a profound love of the Eucharist. 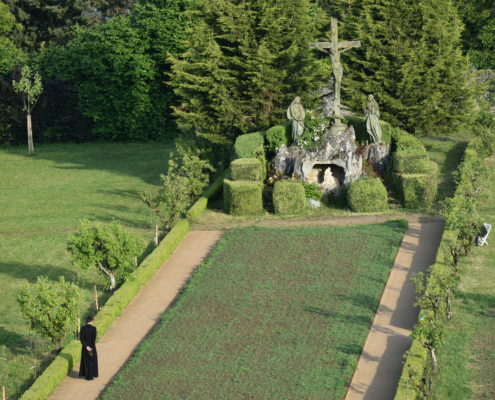 His retreat was based on the Curé d’Ars’ example and his own pastoral experience. 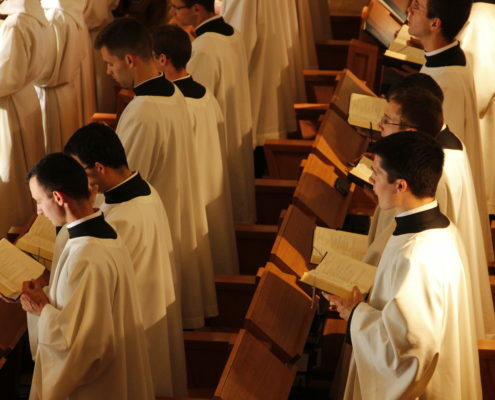 Let us pray Our Lord that through his mercy, we may respond to his call with zeal and humility.